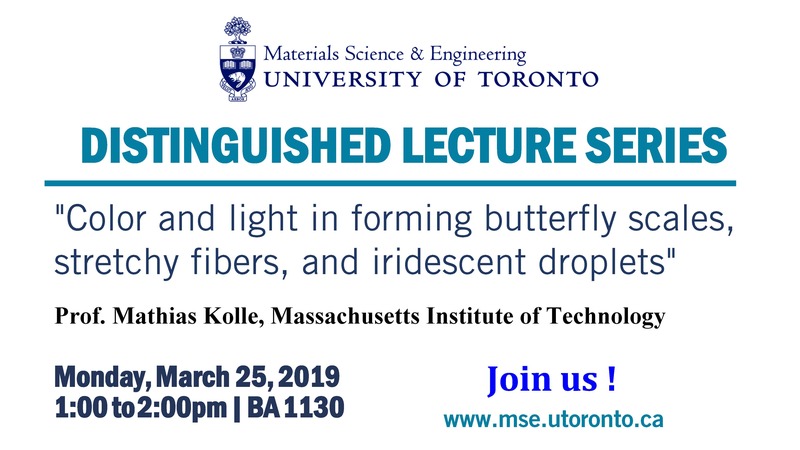 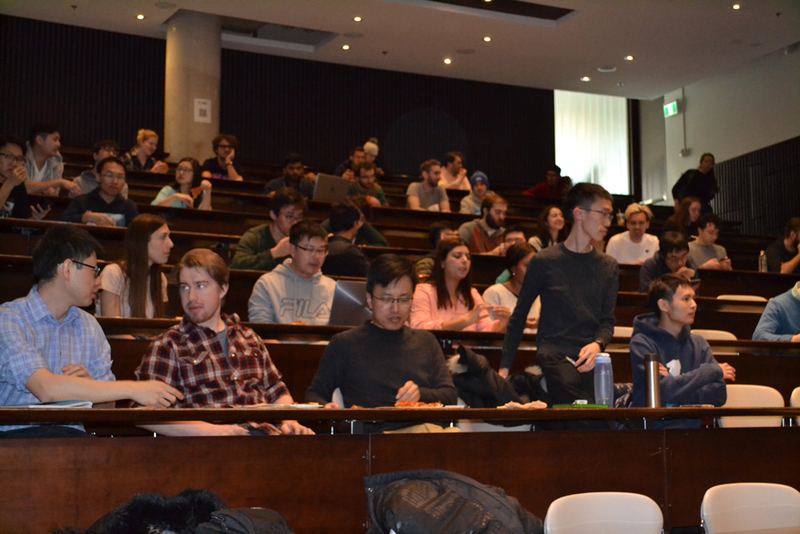 The MSE department was pleased to host Professor Mathias Kolle on March 25, 2019 as part of the MSE Distinguished Lecture Series. 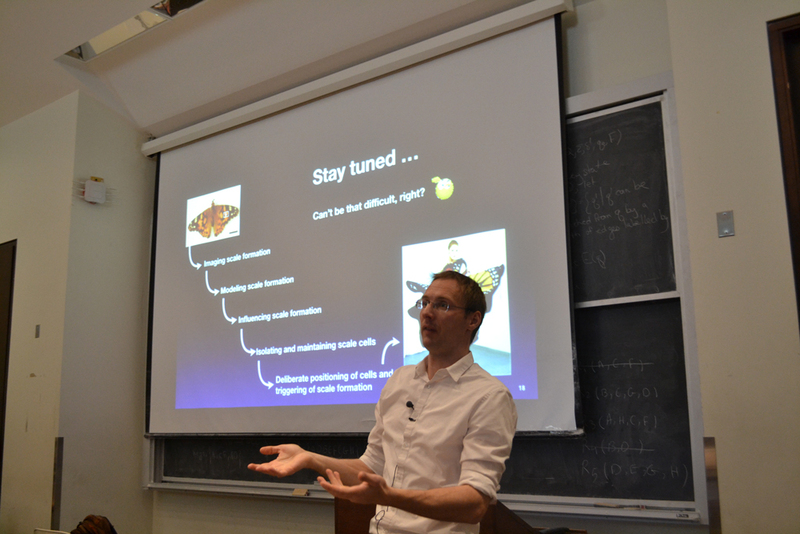 Mathias Kolle is an Associate Professor in Mechanical Engineering at the Massachusetts Institute of Technology (MIT), Boston. 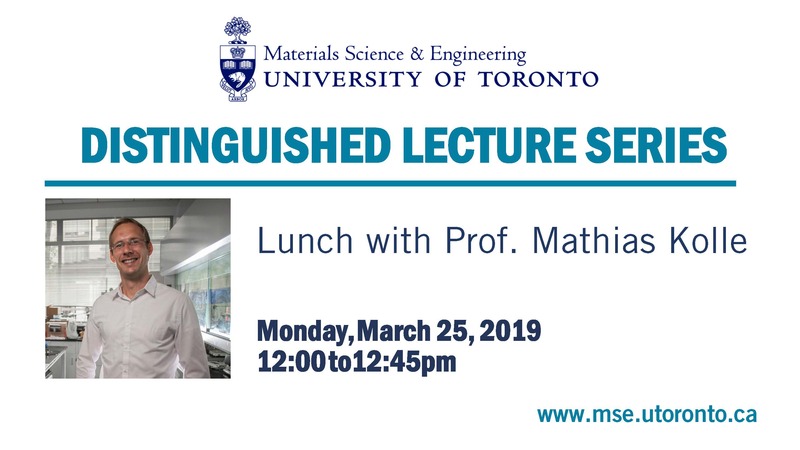 His research is focused on the study of biological photonic systems and the development of bio-inspired, adaptive and actively tunable micro-optical materials and devices. 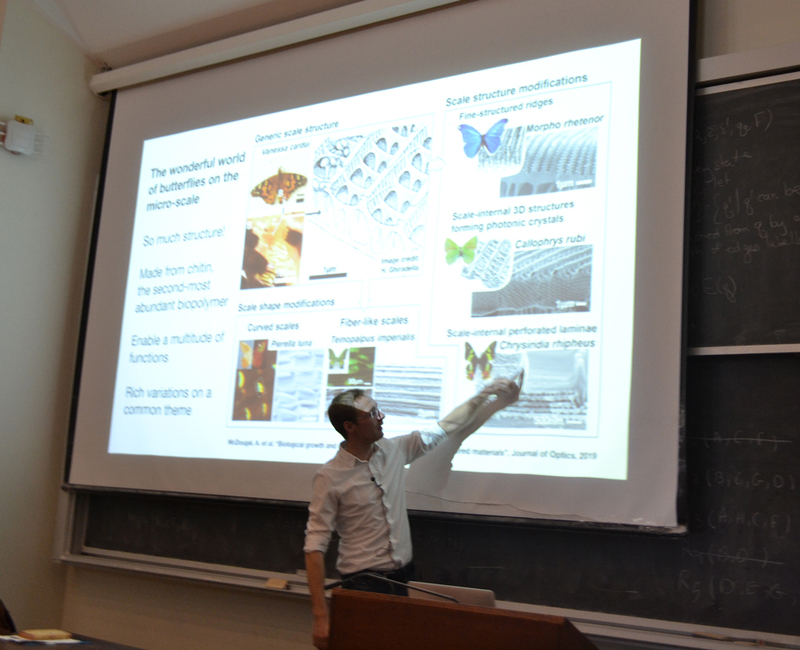 His current projects include biologically-inspired tunable optical materials, scalable manufacture of optical materials, and the morphogenesis of biological photonic structures. 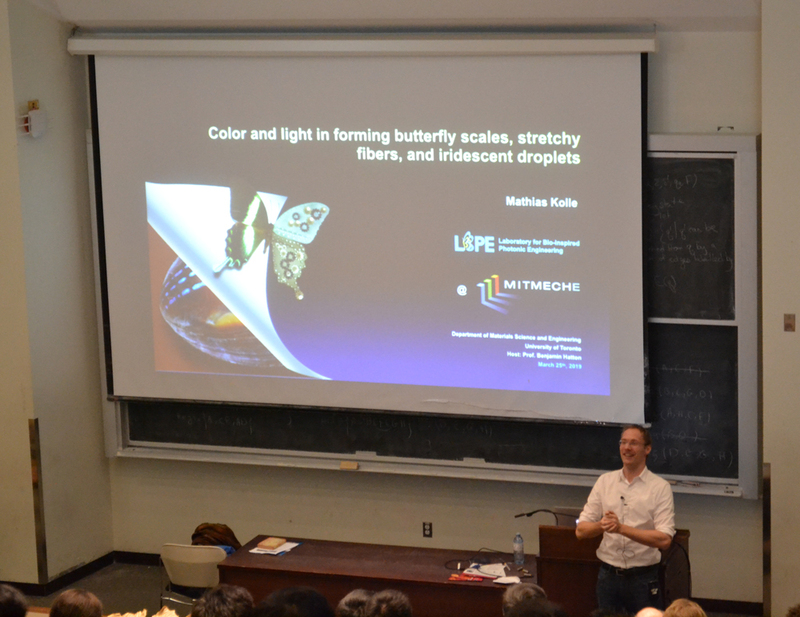 In his PhD (2010) Mathias studied biological and bio-inspired optical systems in the research group of Uli Steiner at the University of Cambridge, UK. 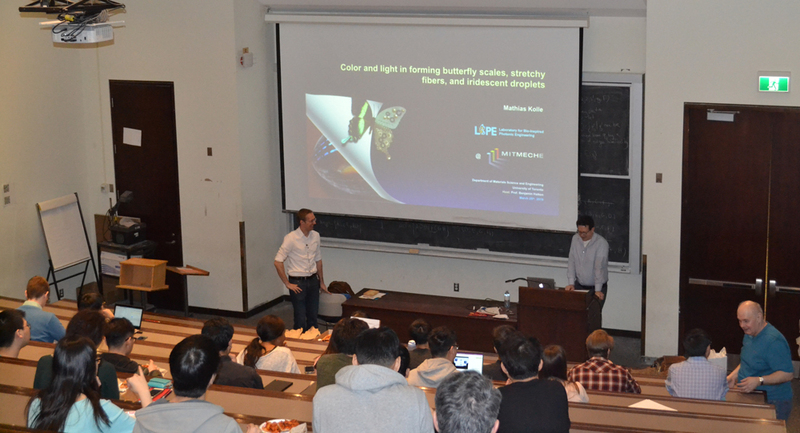 Prof. Kolle gave a Distinguished Lecture entitled “Color and light in forming butterfly scales, stretchy fibers, and iridescent droplets” . 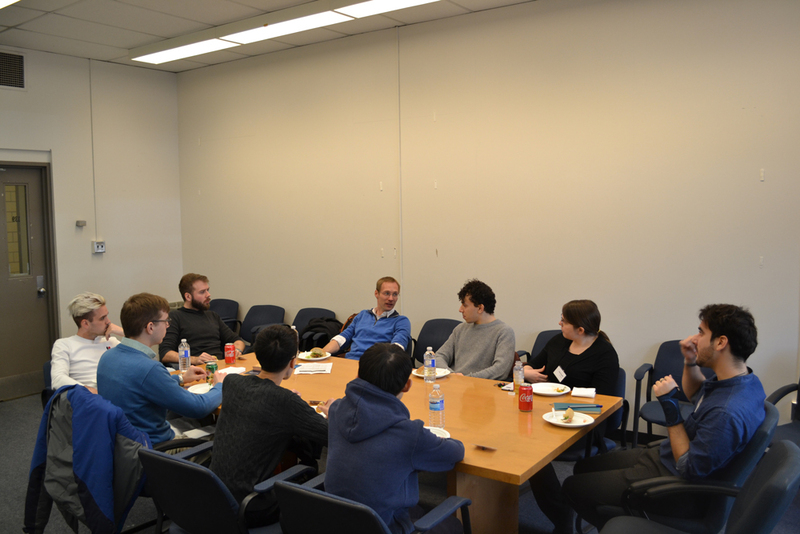 During his visit, Prof Kolle met with faculty, tour the MSE facilities and had luch with MSE Grad students. 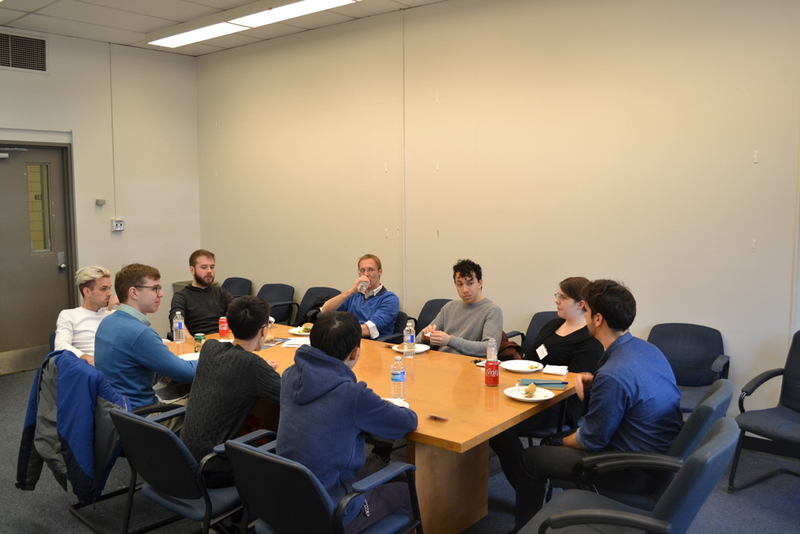 ← Entrepreneurs and their early-stage startups at the University of Toronto will soon have access to a new financial support fund worth up to $5 million.